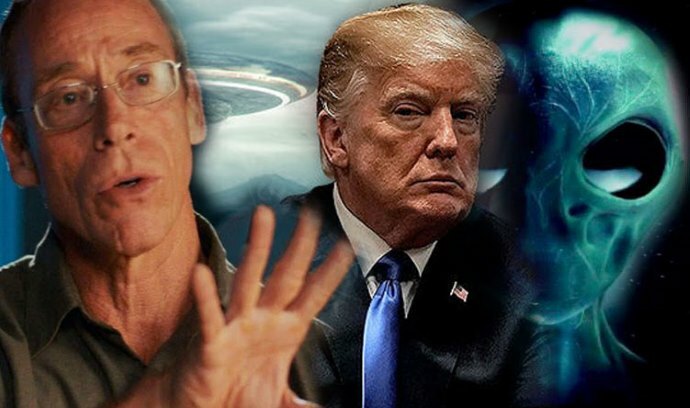 CSETI (The Center for the Study of Extraterrestrial Intelligence), has recently released a new documentary, Unacknowledged, where he says he is in contact with the administration of President Donald Trump, providing information on briefings and details on the evidence that Greer and his team have collected about the extraterrestrial presence. Greer has spent over a decade working with the CSETI (an organization he founded) gathering evidence that aliens not only exist, but who have come to Earth on several occasions and that the government United States Government has suppressed the truth. Speaking with uInterview , Greer claims to be in touch with the Trump administration and hopes the new president will declassify this information once and for all. “We are making efforts to see if President Trump does [declassify operations],” Greer told uInterview. “I will admit this fact publicly – I will not talk about who and what – but we will simply say that the people who are close to his presidential team have been provided with the right details and information material”. Above image: An officer of the US Army explains the experiences of extraterrestrial contact to other soldiers. “Whether or not I can do anything, I remain confident but skeptical.” Greer believes, and claims to have evidence, that a small clandestine group of people rooted in government has suppressed information on alien life for at least three decades. As such, it has taken on the task of informing both the public and members of the government, who are not aware of the conspiratorial bureaucracy – including the President of the United States. While he is confident that the government will do what he expects, his greatest hopes lie in the public. “People, the public must be sensitized regarding the Extra-Terrestrial Visit on Earth. There are many military witnesses, civilians, scientists who said they knew many things and testified at the Disclosure congress”. “If we can inform the public and generate excitement about its willingness to declassify information about the Aliens, that enthusiasm will probably force the government to say a few things that we all expect. What we would like to see is a flood of people supporting the Disinformation or UFO Disclosure, not just the public, but the clandestine operations, the secret operations that have had to do with this, with more and more eyewitnesses (politicians, former soldiers, scientists) who have become available to talk. But these want the support of a lot of people, of the public”.